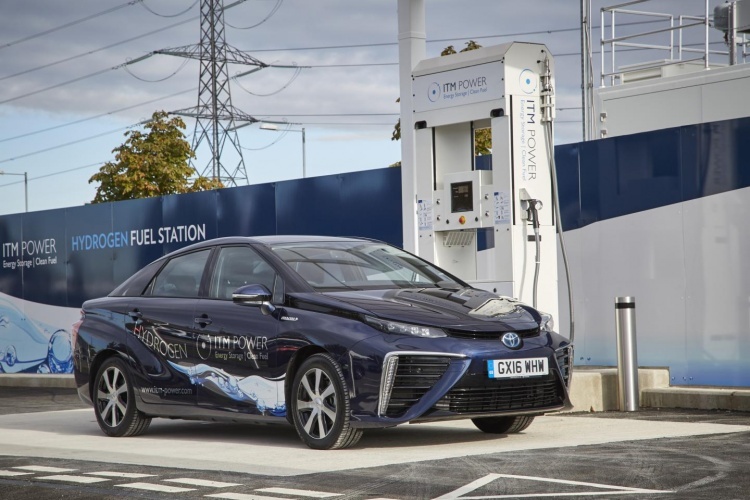 A new type of catalyst to replace the platinum in fuel cells could potentially make hydrogen-powered vehicles considerably cheaper. Developed at the University of California, Riverside (UCR), the material is made of porous carbon nanofibres embedded with ions from either cobalt, iron or nickel. Due to their relative abundance, these metals can be up to 100 times cheaper than platinum, a key component in most polymer electrolyte membrane fuel cells (PEMFC) used today. The work is published in the journal Small. 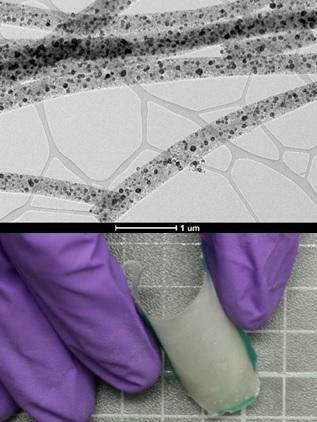 Employing a technique called electrospinning, the UCR researchers made paper-thin sheets of carbon nanofibres embedded with the metal ions. Once heated, the ions formed ultrafine metal nanoparticles that catalysed the transformation of carbon into a high-performance graphite. The metal nanoparticles and residual non-graphite carbon were then oxidised, leading to a highly porous network of nanoparticles dispersed in a porous network of graphite. In collaboration with researchers from Stanford University, the UCR team demonstrated that the catalytic nanocomposite performed as well as platinum-carbon systems, but at a fraction of the cost. According to Kisailus, an added benefit of the was that new material’s graphite fibre provided additional strength and durability, which could enable it to serve as a structural component as well as a fuel cell catalyst. Once this is combined with hydrogen stripping from liquid fuels, and the carbon used in the new 600 degree carbon fuel cell, I see EV’s being truly electrical without the obvious drawbacks of battery powered vehicles. Net result is water vapor, and carbon dioxide with the CO2 in its own pure stream, heck, maybe even capture that as liquid CO2, and discharge it to storage when you fill up. The CO2 has its own uses, including green house growth accelerator, so atmospheric release is not necessary. This can be a real boon, renewal fuel or not. Put this together with the report on photon friendly graphene membranes and we are getting somewhere.